And all because the lady loves… beer | It Comes In Pints? ICIP is feeling a little bit intimidated. Sitting on our table alone are a beer sommelier, an owner of a successful gastropub, an editor of an industry magazine and a brewer. And they are all women. It is clear that much has changed in the five years since Dea Latis was founded. As Annabel rattles through the list of of achievements made by women in the industry, many of these trailblazers sitting in the room with us, ICIP feels a massive swell of pride and empowerment. Women hold the current positions of Chief Executive of the British Beer and Pub Association, Beer Sommelier of the Year, Brewer of the Year, BII Licensee of the Year and Director of Supply Chain at one of the biggest breweries in the UK. And that’s not all. Our heads are spinning with this seemingly unstoppable march of progress. But Annabel knows what we really turned up for. 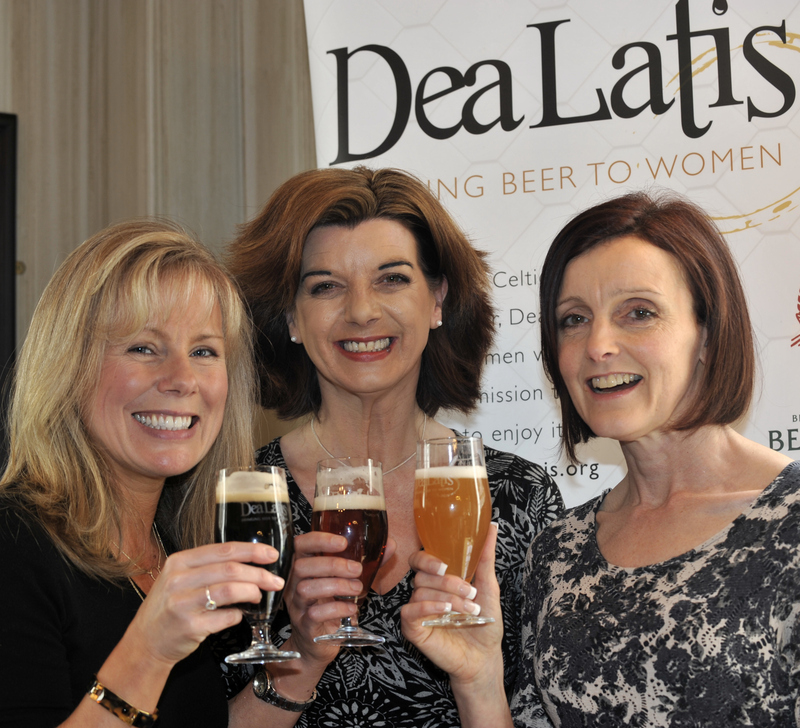 With a membership of over 200, Dea Latis runs regular events up and down the country to encourage women to discover and enjoy beer, and their beer and food matching events seem to be the most popular: “we found that one of the best ways to reach out to women is to match beer and foods; it completely changes the characteristics of the beer. We’ve done beer and chocolate, beer and breakfast, beer and cheese… perhaps most controversially we’ve done beer on its own!” says Annabel. 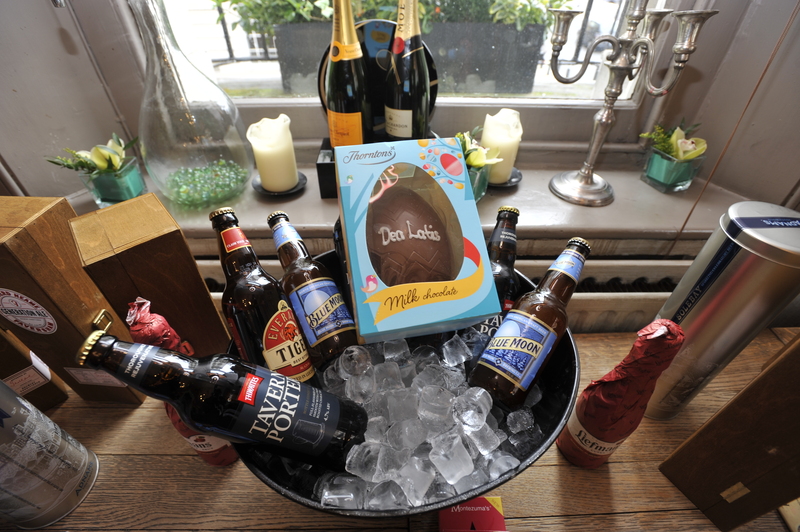 “Beer works with chocolate in a way that wine can’t,” agrees her fellow Dea Latis founder, Ros Shiel. We’re about to find out if they’re right as we are poured glasses of our first beer, Blue Moon, and handed out segments of Terry’s Chocolate Orange. 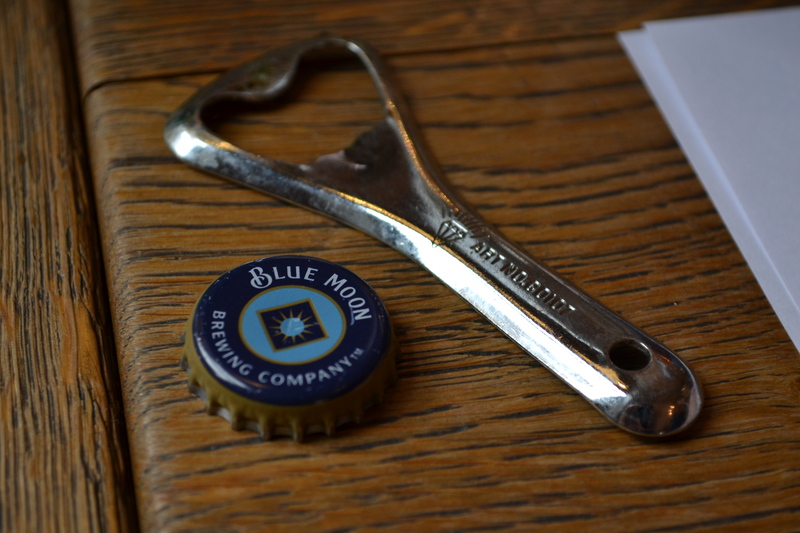 Blue Moon is a Belgian-style witbier originally hailing from Colorado in the States and now part of the MillerCoors leviathan. It’s not a beer that ICIP would usually pick off the pumps, but we’re prepared to be swayed. 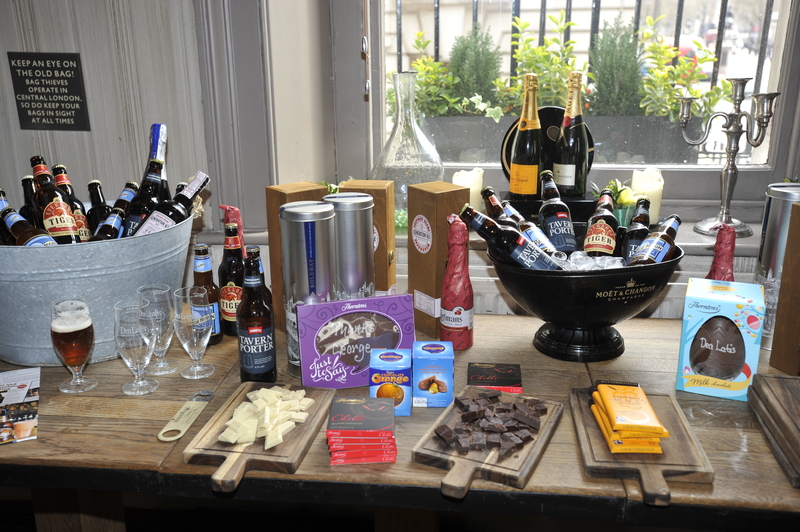 We actually found that the beer mingled with the chocolate as we chewed and spread it all around our mouths even more, spreading the mellow orangey flavours. While it was tasty, we likened the match to the Chocolate Orange you got at Christmas and happily ate, but you probably wouldn’t have bought one yourself. This offers something very different to our orange experience. The beer is rich and malty, and the toffee sweetness from this really compliments the butterscotch. Annabel points out that the bitter cocoa pairs with the hops in beer, while the sugar in chocolate pairs with the sweetness of the malted barley. It might seem obvious, but we it hadn’t really struck us before. “There’s also a similar mouthfeel between the two, so they really complement each other,” she says. This is especially apparent with our third match, which is a massive hit on our table. 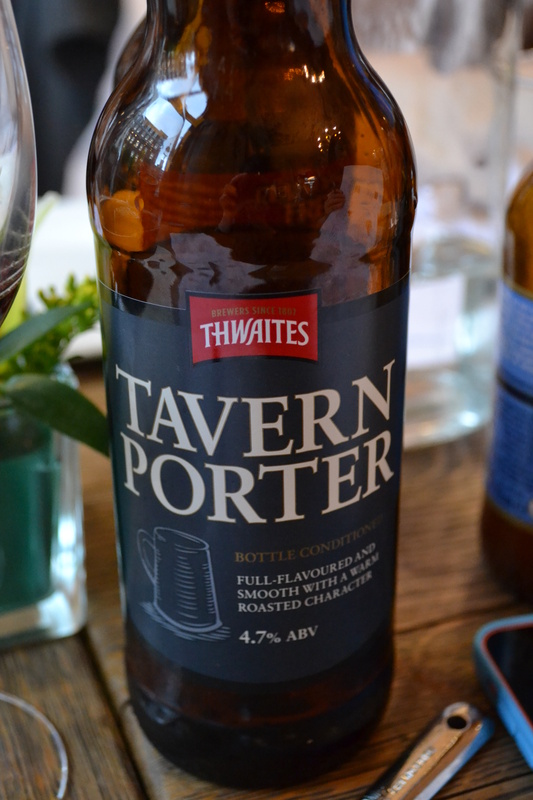 We are poured glasses of ink-black Thwaites’ Tavern Porter (4.7%), and asked to shout out what aromas we notice. A variety of replies from around the room include coffee, liquorice and cinder toffee. My god, was that feeling counteracted! We are passed around those old-fashioned chocolate cupcakes that you used to get as a kid before the Hummingbird Bakery-style boom – the flat-topped ones with a thick, hard layer of icing on top. ICIP is developing diabetes just looking at it. The smokiness and richness of the porter mingled with the icing as it began to warm and melt in the mouth, bringing the sweetness down to an acceptable level. This match also benefited from the soft, crumbly texture of the cupcake, as some were struggling with the concept of matching a beverage to hard, brittle chunks of chocolate. The next beer is a little bit special, and comes in a gorgeous wooden presentation box. “This is Shepherd Neame Generation Ale,” Annabel tells us. “Only 3,000 bottles of this beer were produced and it went through a 12-month aging process. 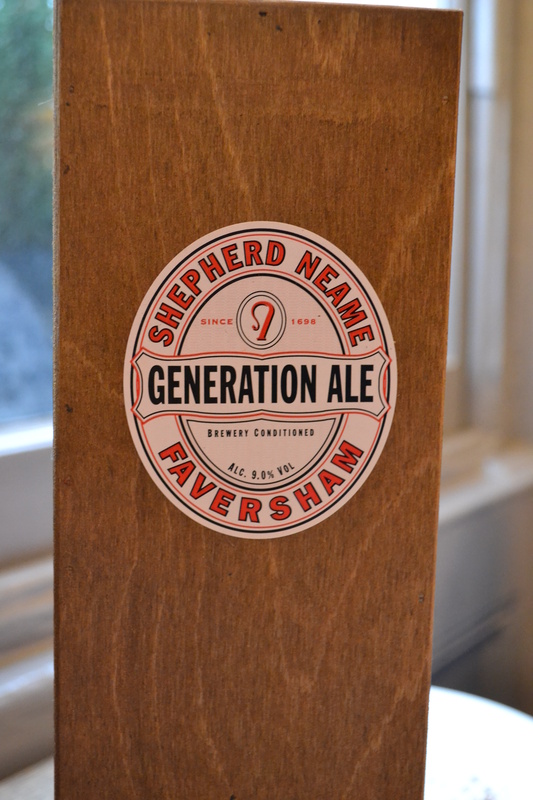 It was brewed to commemorate five generations of Shepherd Neame as an independent family brewery, containing five classic malts and five hop varieties.” We can tell that what we’re swirling around our glass is a very special beer indeed. 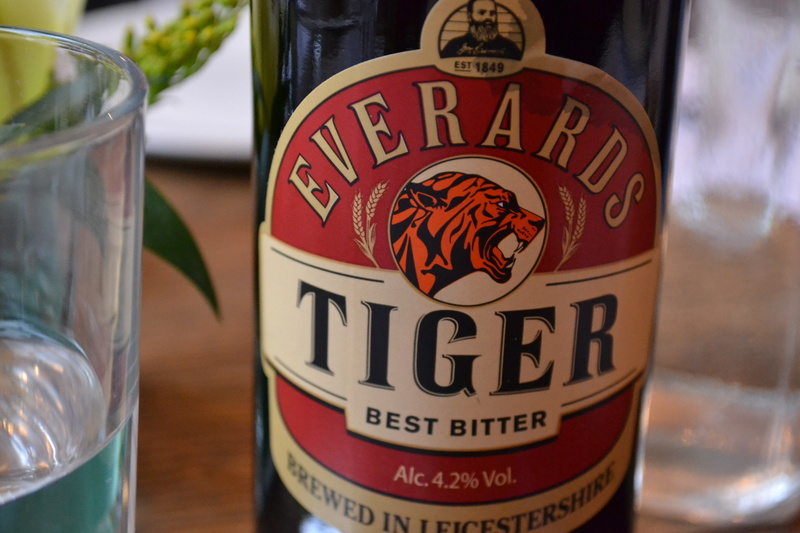 Coming at a 9%, the beer is brewed in the UK’s last remaining wooden mash tuns. As we begin munching, the genius of this match soon becomes apparent. Despite the high ABV, the beer hasn’t too much of a lingering, alcoholic burn, and is quite soft in character. This gentle booziness mingles with the raisins, accentuating that Christmas cake or pudding association, but at the same time it really brings out the bitterness of the dark chocolate. We are in festive booze choccy heaven. “Gosh, that’s made everyone go quiet!” Annabel laughs. Making the most of our momentary silence, she hits us with the bombshell that this amazing, limited edition, 9% beer in its beautiful presentation box, costs just £17.50. “I’m never going to be able to experience the most expensive bottle of wine in the world. I will never be able to afford a £20,000 bottle of wine. 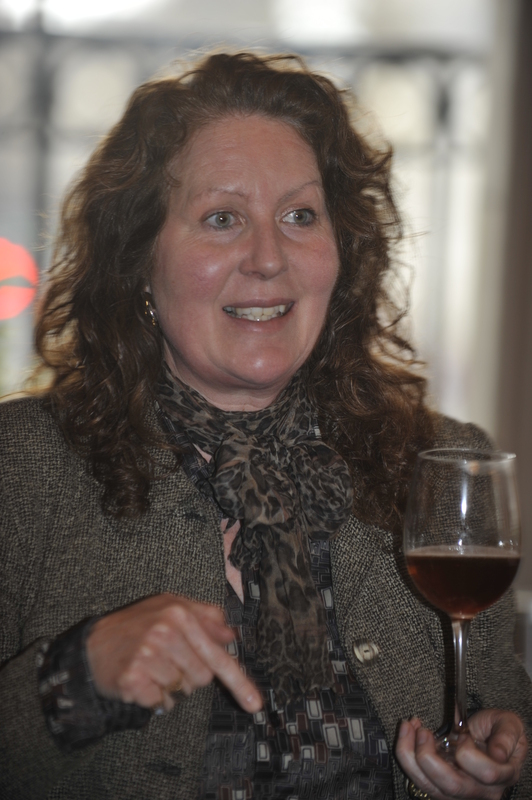 But I do know that in my lifetime I will be able to sample the best beers because it is so affordable,” Annabel says. ICIP already has their phone out and is trying to buy out the other 2,999 bottles. Our penultimate match throws us a bit of a curveball. 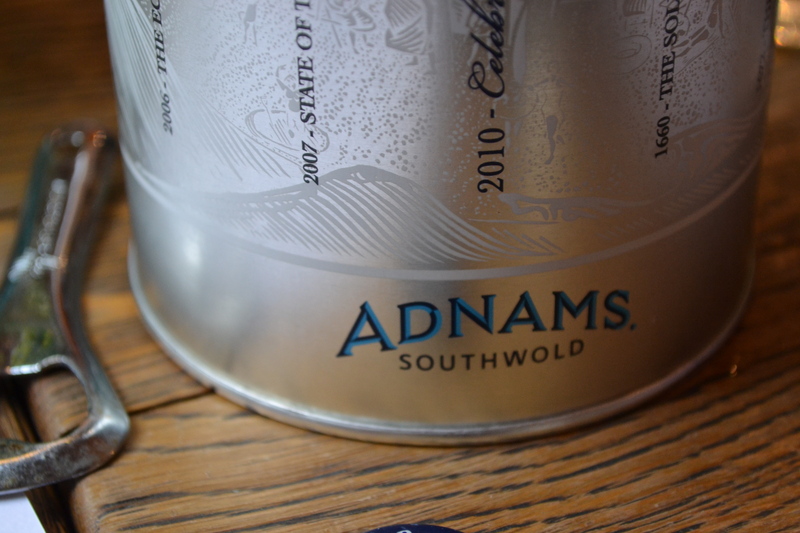 It’s another strong and special beer, this time brewed by ICIP’s pals up in Southwold, Adnams. Solebay was first brewed in 2009 to celebrate 350 years of the historic brewery, and was inspired by strong Belgian styles. It comes in with a 10% ABV, and pours hazy and golden. We get orange and ginger on the nose, and also some estery notes like banana and pear drops. There is a distinct sweetness to this beer, thanks of the addition of Demerara and Muscovado sugars. They also add a few sprigs of lavender, so there’s a floral note. We’re not sure about this. While ICIP has an entire cupboard dedicated to chocolate (really), we are big on the dark stuff, and haven’t really touched its pale cousin since we ate white choccy buttons as toddlers. We were wrong. We were so wrong. We are handed around Montezuma’s Peeling Amorous, which marries white chocolate with lemon and sour cherry. The bitter and sour fruits easily balance the very sweet and creamy chocolate. “White chocolate has a higher fat content than milk and dark chocolate,” says Annabel. “But there is such a high carbonation in this beer that it cuts through the fattiness.” As well as taking the edge of the sweetness, stopping it from being too sickly, the citrus notes in the beer match the lemon in the chocolate. It is mind-blowingly good, and a complete surprise. Just when we thought our day couldn’t get any better, someone puts a bottle of Liefmans Kriek in front of us. Now we’re just being spoiled. Chocolate and cherry can’t fail. We know that already. But Dea Latis has pulled the rug out from under our feet by passing around some Thornton’s dark chocolate… with chilli. The addition of the chilli is certainly subtle. At first, several ladies on our table think they’ve been given the wrong chocolate. But it’s a few seconds after you’ve eaten it that you get a gentle heat at the back of your throat. This is a beautiful match. It turns into cherry truffle in your mouth, with a gentle heat lingering on your tongue. The tingle of the chilli plays off the sour fizz of the lambic and brings your palate alive. Once our hosts have finally prized the beer and chocolate from our vice-like grip, we take a vote on our favourite match. The Liefmans Kriek and dark chilli chocolate is the runaway winner, although apparently the Adnams Solebay and white chocolate surprise entry comes a close second. Having spent a whole afternoon being plied with deliciousness in some pretty inspiring company, we’re feeling hugely positive about women’s ever-growing role in the beer world. “What we find is that although brewers are waking up to the fact that a lot of women are drinking beer, and are doing their own women-oriented marketing, as an overall generic campaign we act as an adjunct to that – we want to add to it, not replace it,” says Ros. “Out of all alcoholic drinks beer is the most female, ironically, even though it is marketed at men,” adds Jane. “Women invented beer. Yeast is female. The female part of the hop plant is used in brewing. Historically women were the brewers. All the deities of beer are female… so it is actually a drink for everybody. Thanks to Dea Latis for some of the photos used above. Want more? Check out our interviews with Annabel Smith and Jane Peyton, as well as our coverage of the most recent Dea Latis breakfast. This entry was posted in Beer and culture, Festivals/Events, Women and beer and tagged adnams, Beer, beer and food matching, beer tasting, blue moon, chocolate, chocolate orange, cupcake, dea latis, everards, green and blacks, liefmans, montezumas, shepherd neame, thorntons, thwaites on 30/03/2014 by icipints. 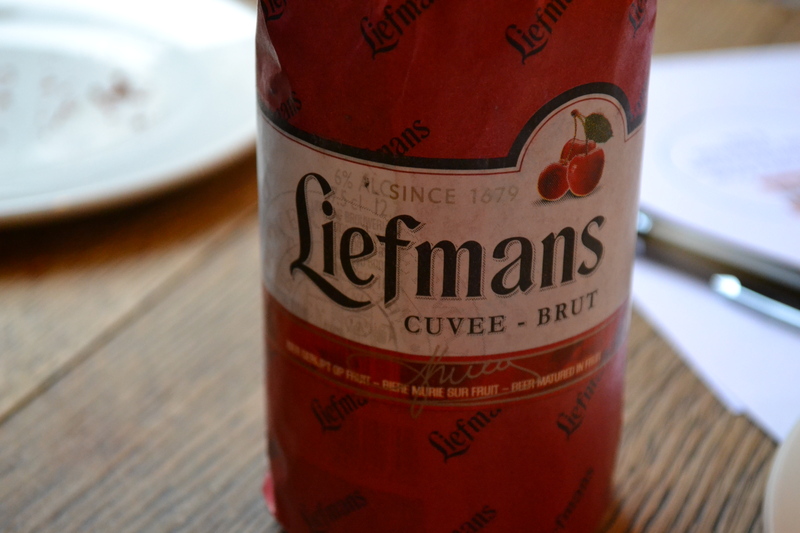 Sorry for being a pedant, but Liefmans isn’t a Lambic. The base beer is an Oudenaards Bruin, a beer which has some similarities with Lambic, but comes from a different part of Belgium and is a different colour (brown rather than amber). Nice to see more women getting involved in all aspects of beer because, as you rightly pointed out, most brewers used to be women. Oddly enough I remember Liefmans being one of very few Belgian breweries with a female brewer a couple of decades ago. I’ve never understood most brewers’ disregard for 50% of their potential customers. Pingback: Pork Choc – Montezuma’s and Hogs Back Brewery launch Chocolate Lager | It Comes In Pints?